Three Sam Houston State University graduates who have made notable contributions in the oil and gas industry, in business, and in dentistry will be honored as Distinguished Alumni on Friday, Oct. 15, on the eve of the university's 2004 homecoming. The honorees include John D. Chandler, a practitioner of general dentistry in Huntsville for over 25 years; Gary Dudley of San Antonio, president and co-owner of Southwest Business Corporation; and Glenn H. McCarthy Jr. of Houston, president and chairman of the board of McCarthy Oil & Gas Corporation. The Distinguished Alumni Gala will take place at 6 p.m. in the Lowman Student Center Ballroom. Tickets are $50 each or $750 to sponsor a table. For more information about the event, contact the SHSU Office of Alumni Relations at 936.294.1841. 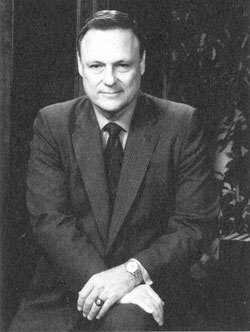 Chandler received the bachelor of science degree in biology from Sam Houston State in 1969. 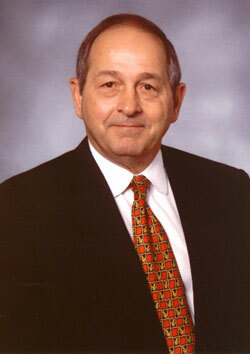 He earned a doctorate in dentistry from the University of Texas Dental Branch in 1973. He served in the U. S. Air Force Dental Corps from 1973-76 and taught at the UT Dental Branch in Houston the following year. In 1977 he began his dental practice in Huntsville. He is the recipient of numerous awards including the President's Award from the Texas Academy of General Dentistry, The Texas Academy of General Dentistry Dentist of the Year, and the University of Texas Dental Branch Distinguished Alumni Award. He is an active member of the Academy of General Dentistry. In addition to serving as secretary, vice president and president of the Academy, he has been a house delegate, region trustee and a member of several committees. Chandler has been as a member of the board of directors of the Texas Academy of General Dentistry since 1988, and has served as treasurer and vice president of the organization. He has also served on a number of committees for the American Dental Association as well as the Texas Dental Association and the Brazos Valley District Dental Society. In addition to his professional activities, Chandler has also been active in his community as a youth sports coach, Kiwanis president, Cub Scout leader, Huntsville Family YMCA founder and president, American Heart Association of Huntsville board of directors, and he currently is a member of the Huntsville Health Advisory Committee. He and his wife, Janie, are the parents of two sons---Ty, who lives in Austin, and Ryan, who lives in Houston. 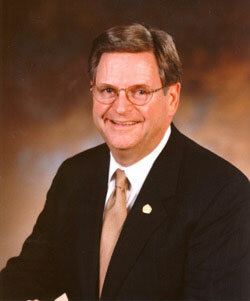 Dudley received a bachelor of business administration degree from Sam Houston State in 1969. In 1976, he co-founded Southwest Business Corporation where he serves as its president and co-owner, as well as president of three of the corporation's subsidiaries---Employees Life Insurance Company, Financial Services Acceptance Corporation and Cotrak Insurance Services in California. Dudley has more than 30 years experience in the insurance industry and has guided the development of the corporation's technology, administration and delivery systems. His corporation has provided insurance and financial services to more than 2,000 financial institutions and corporations. His contributions to his alma mater and his community include serving on the SHSU President's Circle and College of Business Administration Advisory Board, and serving as a member of the development board at the University of Incarnate Word in San Antonio. He is on the board of directors for the San Antonio Spurs Foundation and is part owner of the team. The Southwest Business Corporation is also a sponsor of the Alamo Bowl and numerous charity golf tournaments. Dudley also serves as a board member of the San Antonio Economic Development Board and the Greater San Antonio Chamber of Commerce. He and his wife, Margaret, have one child---Alison. McCarthy received the bachelor of business administration degree from Sam Houston State in 1962, and the juris doctor's degree from South Texas College of Law in 1967. He began his law practice that year, working for the first three years in general law then specializing in real estate and oil and gas law. His career in the oil and gas industry began before he finished high school, when he worked as a roustabout and land man. He became president of McCarthy Oil and Gas Corporation in 1959. During its existence McCarthy Oil and Gas Corporation's exploration efforts have yielded in excess of 800 producing wells, discovered 16 new oil and gas fields and 15 major extensions of existing oil and gas fields, with cumulative production to date of over 175 million barrels of oil and in excess of one trillion cubic feet of gas. McCarthy also served as president and principal owner of MTH Construction Company in Houston from 1959 to 1967, and worked for several years during the 1970s as an abstractor, title examiner and escrow officer in charge of commercial closing for American Title Company of Harris County. In addition, he was a part time lecturer for University of Houston real estate brokerage classes. He served as vice president, president and chairman of the board of Tenroc Corporation from 1977 to 1982. While he was CEO of the corporation, he supervised exploration, development and production departments with annual budgets of $75 million. In 1997, the Cystic Fibrosis Foundation named him a "Legend of the Oil Industry" during its annual gala at The Petroleum Club in Houston. He is a member of numerous professional organizations including the Houston Bar Association, the Texas Bar Association, the Southwest Legal Foundation, the Institute for Energy Development, the Independent Petroleum Association of America, and is a life member of the Houston Livestock Show.